Chris Carlson has a performance coming up. This is of note because Carlson is the developer of an iOS app called Borderlands Granular. 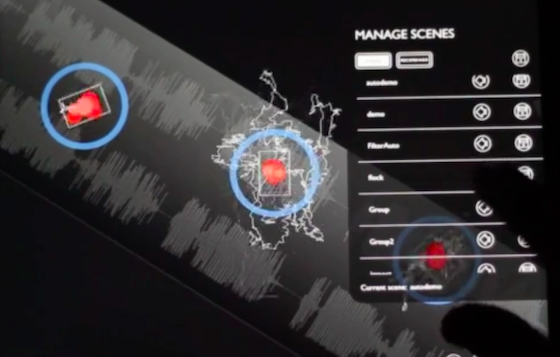 Carlson’s app allows for a gestural, elegant, detailed exploration of the sounds within sounds. He has posted pre-performance test runs of his approach (the track’s title is “Pigment Library”), which in this case involves guitar chords as the source audio. The result is at times more orchestral than it is rock, more the jubilant yet anxious chaos of strings tuning up than the strumming, however fierce, of a six-string. You can hear moments of guitar-like presence, like the touching of fingers to taut metal, the bending of the wires. But more often than not Carlson is deep inside the guitar, the cloud-like structures of his Borderlands app unfolding the source material, laying bare and layering its inherent textures. Track originally posted at soundcloud.com/cloudveins. More from Carlson at cloudveins.bandcamp.com, modulationindex.com, and borderlands-granular.com.